Troubled motorsports channel Motors TV has been acquired by Miami-based Motorsport Network in a move that will see Motors TV "absorbed" into Motorsport Network's revamped Motorsport.tv service, according to an announcement released by the channel. Motors TV UK has had difficulties staying on air, with its Freeview service abruptly stopped, and the channel twice falling off Sky for several days. In July, the channel also temporarily disappeared from Virgin Media with the entire UK feed disappearing from satellite. As reported in July 2016, the channel's French operator was placed under a so-called Safeguarding Procedure. 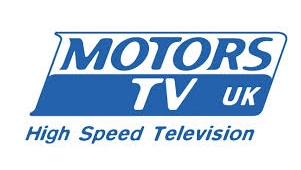 Founded in 2000, Motors TV has feeds for the UK, France, North & Latin America as well as an international feed. According to a press release issued by both companies today, 2017 will mark its transition from traditional linear broadcasting to a Video on Demand (VOD) service with the launch of a revamped Motorsport.tv service. In March 2017, Motorsport.tv will be upgraded to HD and will be available via desktop, mobile, tablet, streaming devices, gaming consoles, connected televisions to set-top devices such as Apple TV, Amazon Fire & Roku. It's not clear when and how Motors TV UK's viewers on Sky and Virgin will be affected by the changes and whether Motorsport.tv's new online portal will be added to the likes of Sky Q. “Today’s news to expand our commitment to automotive from the global digital presence we are building with Motor1.com and our digital motorsport estate including Motorsport.com and Autosport.com into the broadcast arena is a bold step to build a genuinely integrated platform across small and large screen alike. The investment will enable us to create the very first dedicated broadcast ‘home’ in our expert areas of performance motoring and motorsport." The acquisition of Motors TV comes with 130 rights agreements and 700 live events annually, which will form the backbone of Motorsports.tv.